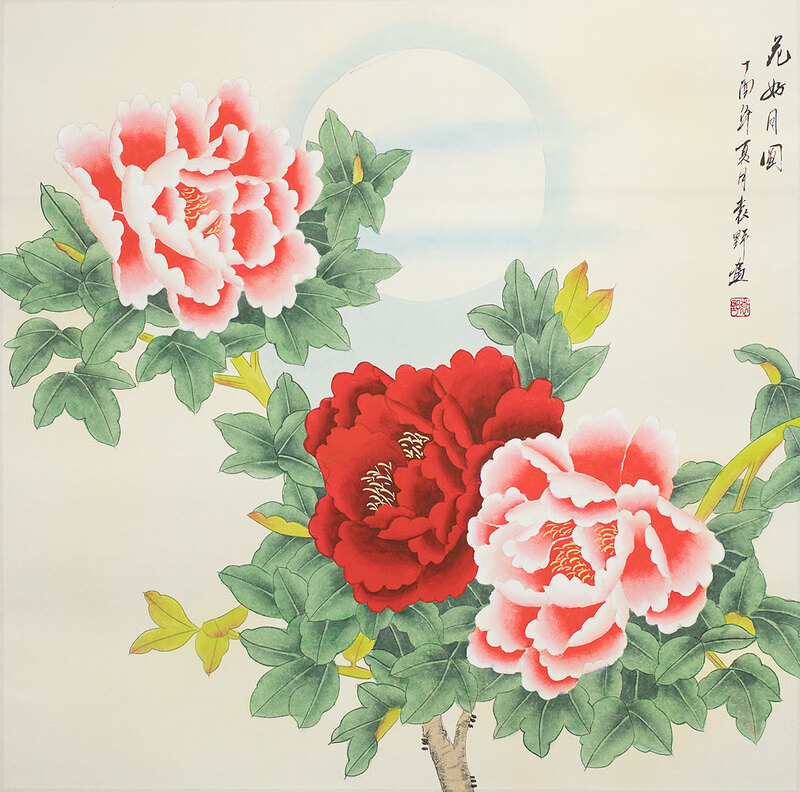 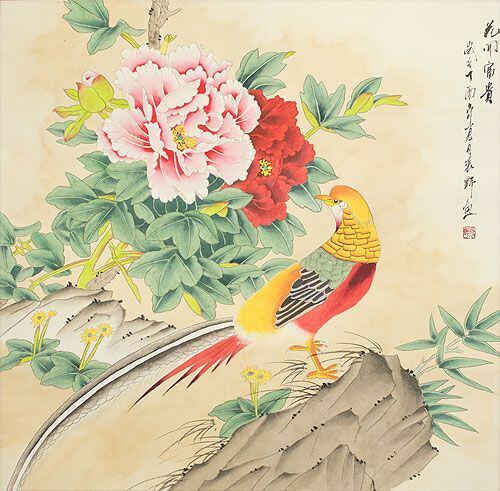 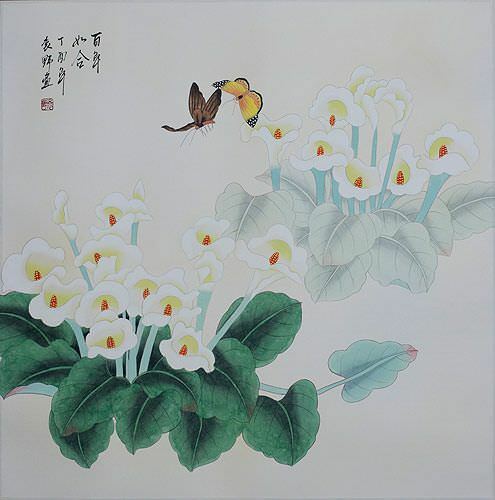 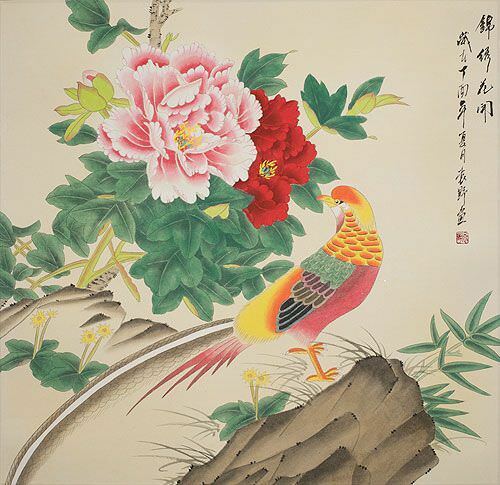 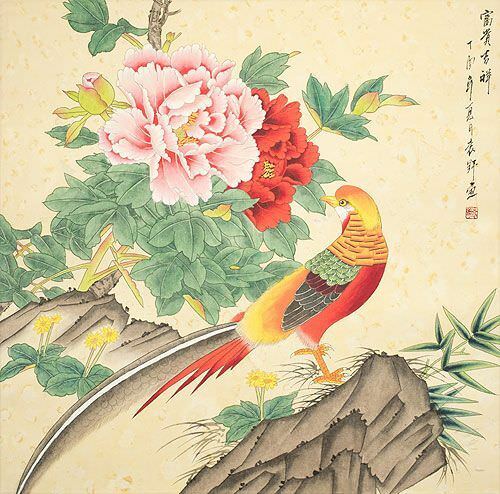 Artwork Panel: 63.8cm x 63.7cm ≈ 25" x 25"
Silk/Brocade Border: 73cm x 72.8cm ≈ 28¾" x 28¾"
The Chinese title is 花好月圓 which literally translates as, "Flowers [are] Good, Moon [is] Round (full)." 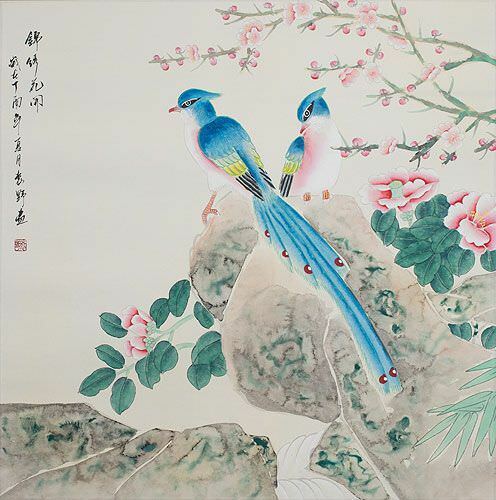 This phrase is commonly used when offering good wishes to newly-married couples. 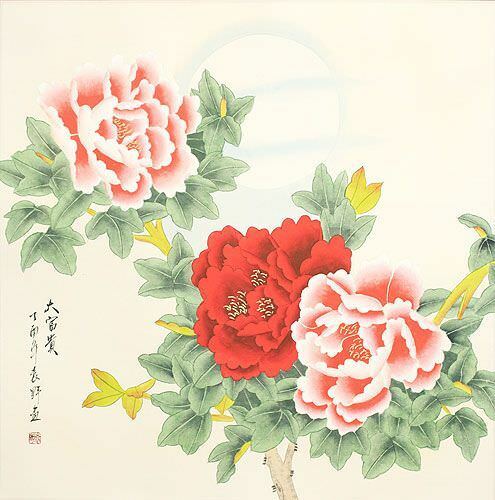 This phrase represents the best of moments when the flowers bloom or during the full moon.